De La Soul’s ninth album. 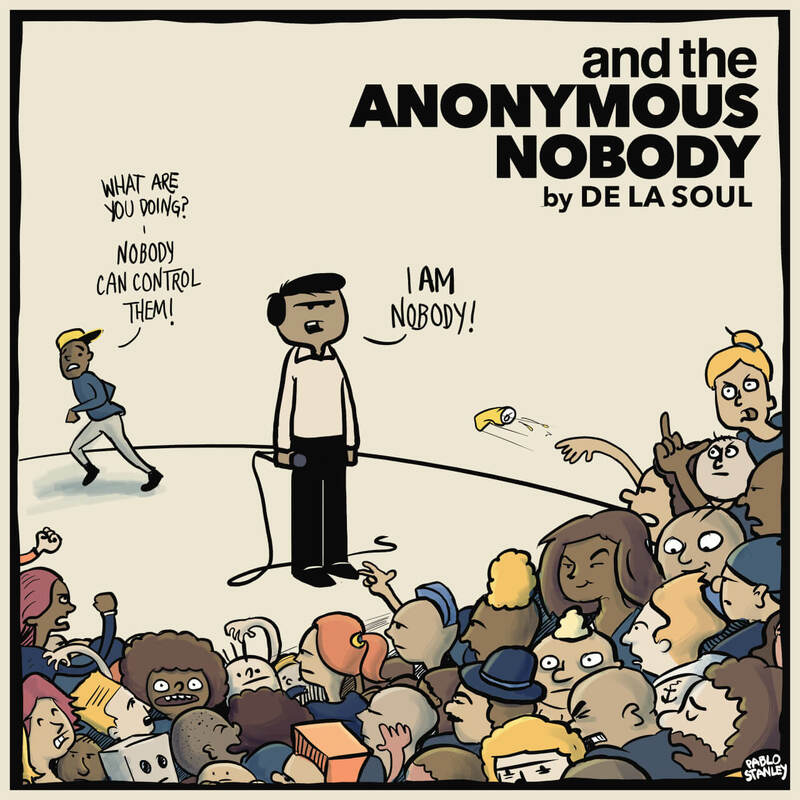 Release date: August 26th, 2016.
and the Anonymous Nobody… is the ninth full-length album by De La Soul, and was released on August 26, 2016, on A.O.I. Records, executive produced by Jordan Katz. In early 2015, De La Soul created a Kickstarter in order to fund the album. In under ten hours, it surpassed the projected goal of $110,000. Initially, the group announced that the album would be released on April 29, 2016. Subsequently releasing a new EP titled For Your Pain & Suffering on April 29, 2016, the group rescheduled the release of the album for August 26, 2016.